Happy Saturday! It's time for another challenge @ Our Creative Corner. Paula, has an interesting color challenge for us to try this week. 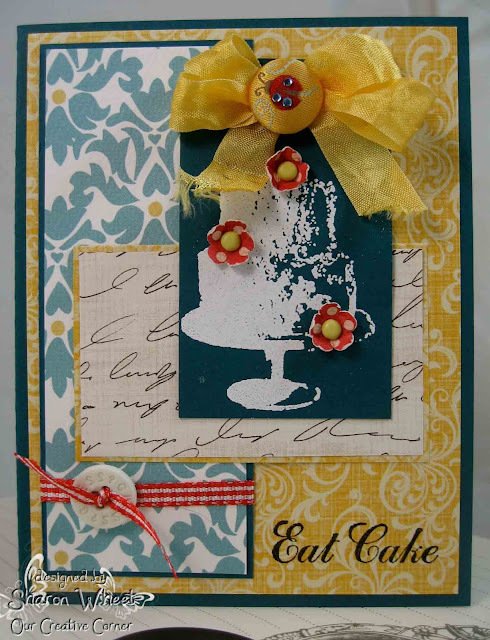 Paula, wants you to create a cake creation using Red, Blue, and Yellow with layer upon layer. My first question was what shade of red, or blue. The yellow, I pretty much have that covered. But, Paula mentions super hero s, so the shades I selected are deep and bright. For those who know me, this is not my typical color combo. But, this is labeled as a challenge. I selected Not Quite Navy for my card base. I thought this color would help ground my card and give it a starting point. Not only as the card base, but a base for coordinating the other colors. The blue/yellow pattern paper is from a Teresa Collins collection, I believe. 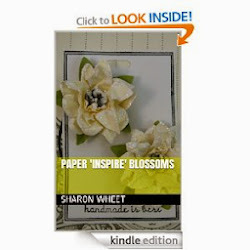 The text pattern paper is from Paper Studio. 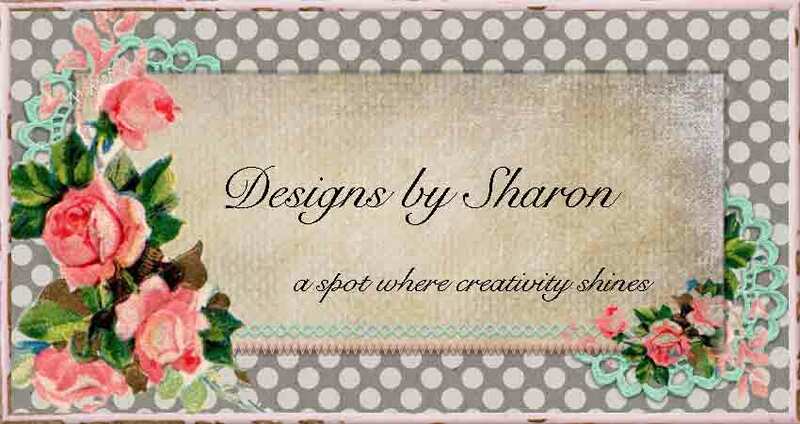 I used my red to showcase embellishments. I used an Authentique Valentine's Day themed paper for the red/cream polka dot pattern paper. I added a scrap piece of the red checker ribbon to add a splash of color towards the bottom of the card. I used my Utility stamp set for the cake and the sentiment. I used white embossing powder and my heat gun to emboss the cake image. I just love the shading. I added a lady bug fabric brad to attach the multi-loop bow to the top of the birthday tag. I hope you get a chance to play along with us @ OCC. Well I think you have made the best cake out of all of us;it looks stunning. I also love your big bow with the ladybug button-how cute is that? You have designed this card wonderfully, all the papers sit well together, and although you say this is not a typical colour combo for you, sometimes it helps our creativity to think outside the square. Gorgeous Sharon! Love your yellow bow with the cute button. Great take on the challenge.